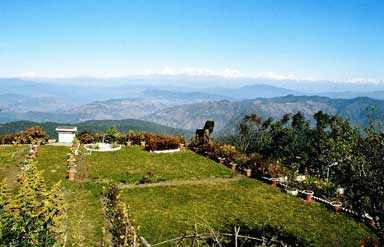 Located in Nainital, Uttarakhand, Mukteshwar town is famous for its natural beauty. Highlights of the town include verdant forest, fruit orchards and high hills. Named after Lord Shiva, the land is amazingly beautiful. Mukteshwar is calm, secluded and tranquil. 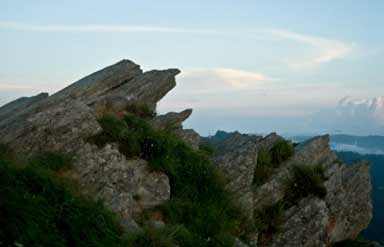 Attractions of Mukteshwar mostly involve religious places, which witness devotees from far and wide. Snuggled in Kumaon hills, the destination is unbelievably beautiful. This is the most popular attraction in Mukteshwar. Located at hilltop, the temple is famous across the globe due to its distinct features. It houses a white marble Shivling, which has a copper yoni. Many other idols of Hindu gods surround this unique Shivling. Apart from the idols of Parvati, Ganesh and Nandi, idols of Brahma and Vishnu are also present in the temple. Calm ambience of the temple offers heavenly feel, which will not allow you to leave the temple premises. Also known as the 'Chauli ka Jali', Chauthi Jaali is a must visit place in Mukteshwar. Located near Mukteshwar temple, the place has many legends and stories for the visitors. According to the legend, the place has witnessed the battle of a Demon and the Goddess. Another belief says that a visit to this place by a barren women blesses her with a baby boy by touching the lattice of Chauthi Jaali. 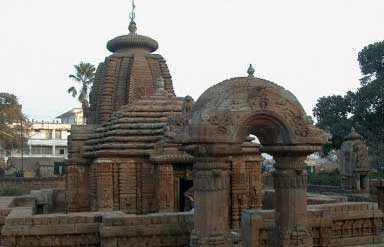 Constructed during 11th century, the temple is popular across the globe. Set amidst the beautiful paddy fields, the temple is relatively small but it does not affect the popularity of the temple. Amazing stone carving is the highlight of the temple. These female figures depicting different dance postures are worth-appreciating. The region has a wide range of accommodations, which includes luxury, deluxe and economy class hotels. 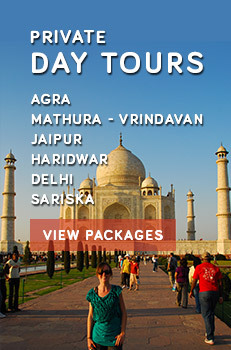 Tourists can choose the one as per their budget and requirements. By Air: Jolly Grant airport, Dehradun is the nearest airport. It connects the region with rest of the country. By Rail: Located around 73 km, Kathgodam station is the nearest railhead. From all the prime locations in the country, tourists can board the rail to reach the destination. By Road: A wide and well-established road network keeps the destination easily accessible from all the nearby locations.